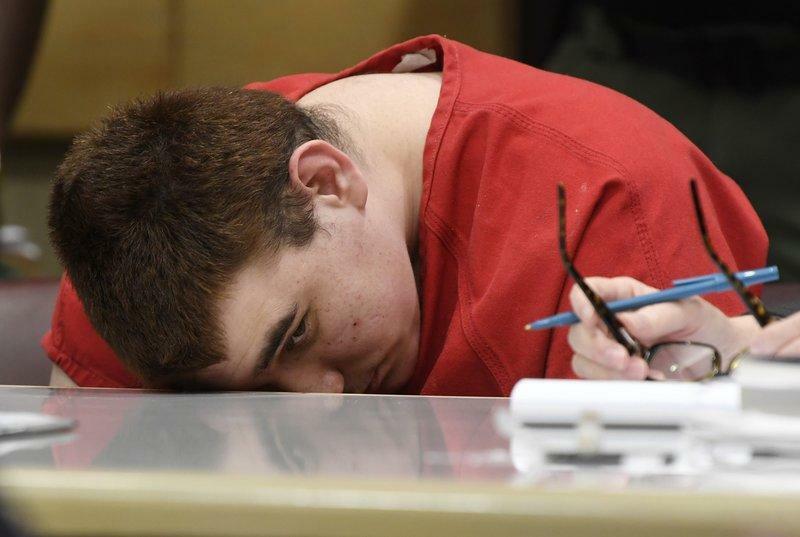 FORT LAUDERDALE, Fla. -- Media organizations asked a judge Monday to order public release of much of Florida school shooting suspect Nikolas Cruz's statement to investigators after the massacre that killed 17 people on Valentine's Day. Attorneys for The Associated Press and other media outlets asked Broward Circuit Judge Elizabeth Scherer to allow disclosure of the statement under public records law. Attorneys for the 19-year-old Cruz wanted the entire statement suppressed, contending it would improperly influence jurors in his trial. The judge did not immediately rule. Media lawyer Dana McElroy said the only portions that should be suppressed are any comments that appear to be a substantive confession, but not the entire statement. She said Florida's broad public records law requires that much of it be disclosed even in high-profile cases such as this. "The coverage of this case will and should continue. It's important to the public and to everyone who's watching this case that all of the facts be reported," McElroy said. "There's a great public concern about how this case is handled." Throughout the hearing, Cruz sat with his forehead resting face-down on the defense table. His 18-year-old brother, Zachary Cruz, attended the hearing but declined to speak with reporters. Cruz attorney David Frankel urged Scherer to consider the impact of the wall-to-wall media coverage of the shooting before allowing the statement's release. Frankel said "98 percent" of the statement contains some element of a confession and would make it impossible for Cruz to get a fair trial. "The right of access is not absolute, but the right to a fair trial is," Frankel said. "This court's obligation is to go to whatever lengths are necessary to see he gets a fair trial." One of the prosecutors, Assistant State Attorney Steven Klinger, said the statement has been thoroughly redacted and is ready for public release. Under Florida law, most evidence in a criminal case becomes public once prosecutors turn it over to the defense. Cruz's lawyers also want to prevent public release of a 70-page report prepared by Broward County school officials about his educational record. Cruz had many documented behavioral problems and was eventually expelled from Stoneman Douglas, authorities have said. The report summarizes some 2,500 pages of Cruz's educational record. "Those records are exempt from disclosure," said another Cruz lawyer, Melisa McNeill. "It's our position that the entire thing should not be released." That argument is pending before a different judge who last week ruled she would inspect the 70-page educational report and then decide whether it will be made public. The next status hearing in Cruz's criminal case is set for Aug. 15. During the hearing, Scherer proposed that the two sides plan for a September 2019 trial start date.